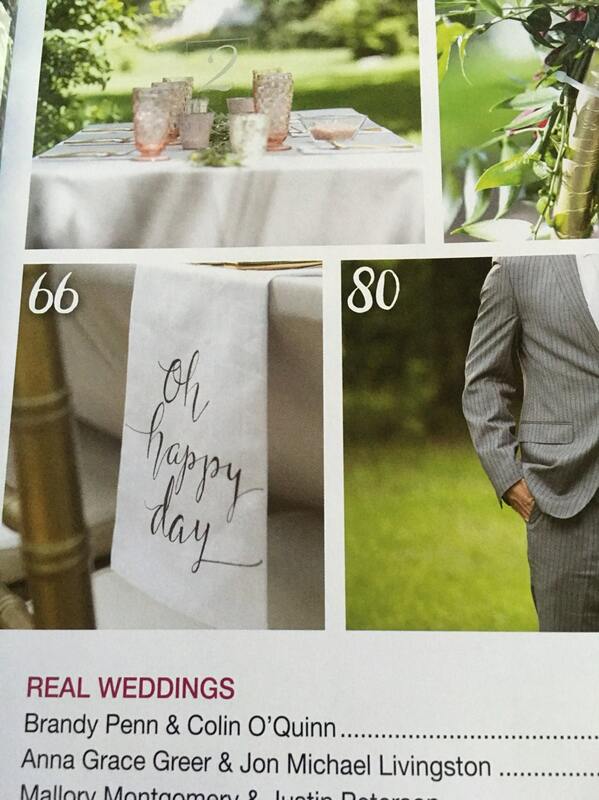 Featured in the 2016 Summer issue of WEDDINGS WITH STYLE MAGAZINE, these custom cotton calligraphy napkins are sure to add a touch of elegance to your wedding reception or special occasion table settings. 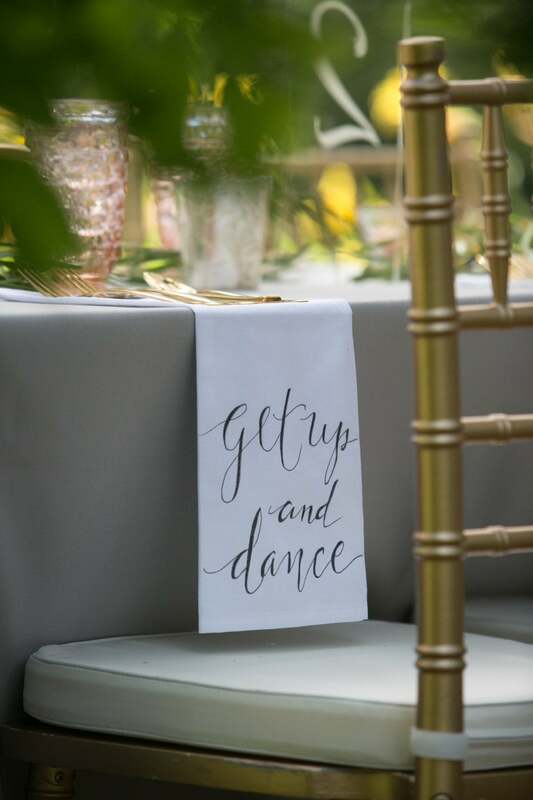 The simple elegant writing style will compliment your wedding decor and can also be used to reserve seating for special guests. These 100% cotton cream dinner napkins are 16"x16." 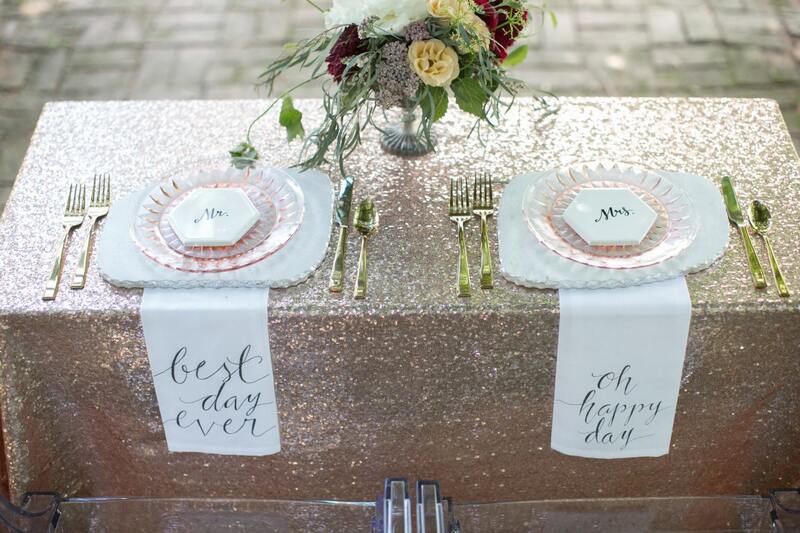 Perfect for your for WEDDING DECOR, REHEARSAL DINNERS OR ANY SPECIAL EVENT, these napkins add that special attention to detail that will make your table setting a memorable one! (photography by JRobinsonPhotography). CUSTOM ORDER - CALLIGRAPHY WRITING WILL BE ADDED ACCORDING TO YOUR DESCRIPTION - "GET UP AND DANCE", "LOVE" "OH HAPPY DAY," "MR." "MRS," "BRIDE," "GROOM," etc. (your wording choice). 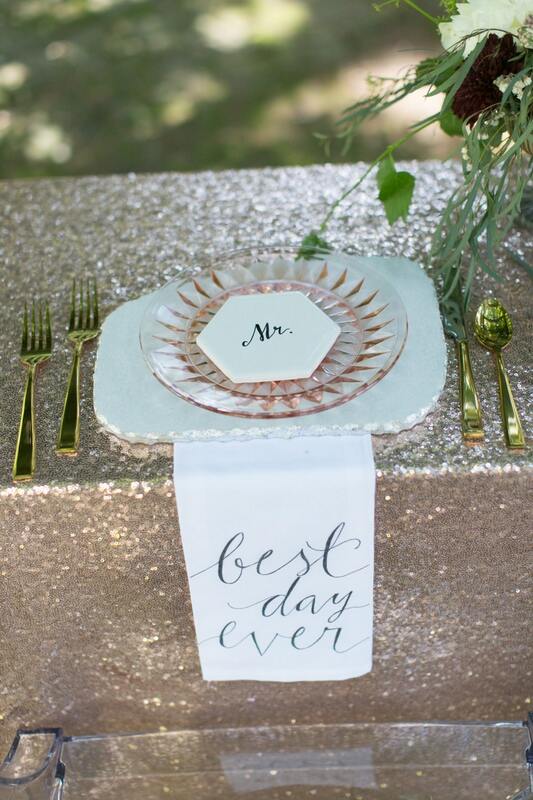 Writing will be hand written on each napkin with permanent ink. Washable on gentle setting/iron lightly. 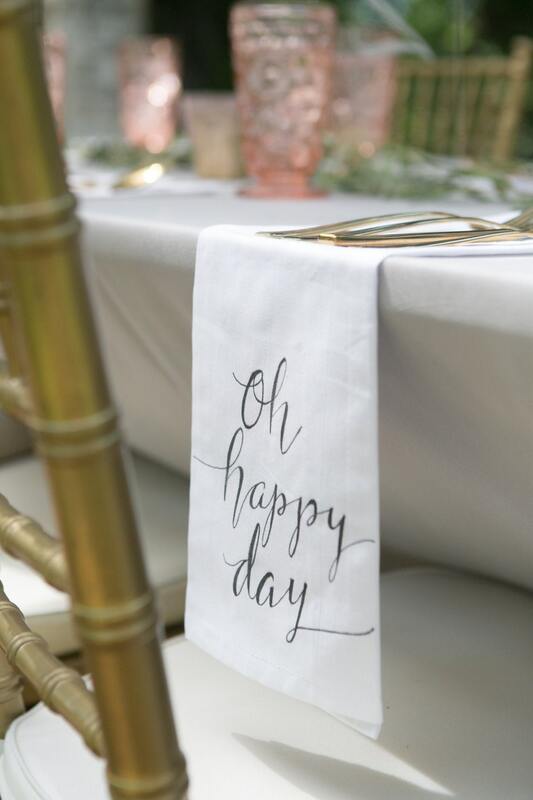 NOTE: THE SLIGHT VARIATIONS IN WRITING STYLE ARE EXPECTED DUE TO THE HANDWRITTEN NATURE OF THESE CUSTOM NAPKINS AND ADD TO THE CHARM OF THE CUSTOM CALLIGRAPHY. SHIPPING - The finished napkins will be tissue wrapped and mailed in a waterproof envelope or box depending on amount ordered to ensure safe delivery to you. Please allow approximately 1-2 weeks for creation and delivery to your doorstep for small orders, longer timeframe to be determined at order time for large orders. I would love to create some special napkins for your table or wedding or as a gift to someone special. Message me with your ideas!